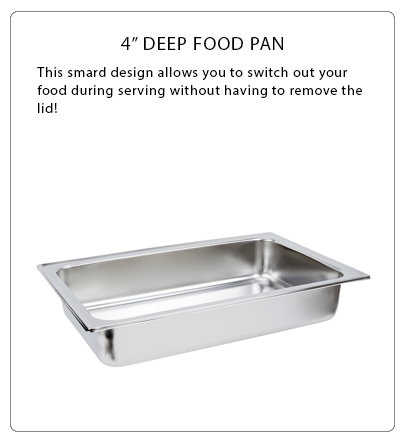 The Atosa Full Size Roll Top Chafer features a water pan and two burner holders, as well as a pre-installed full size by 4" deep food pan. 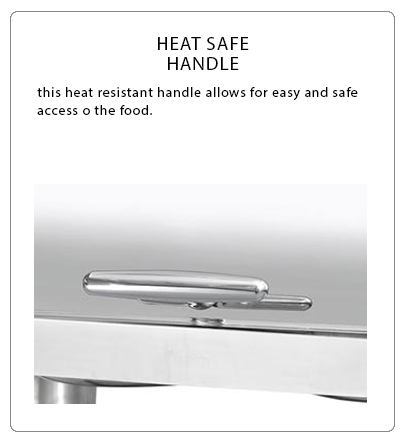 Hold up to 8.5 qts. 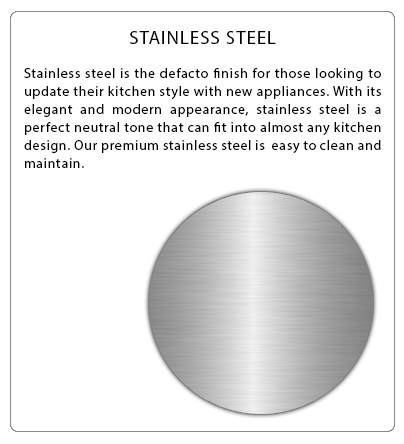 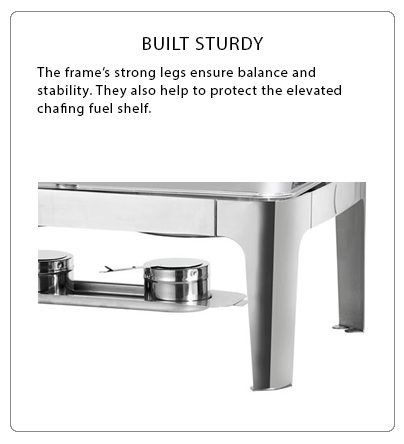 This chafing dish has a stainless steel stable frame and legs. 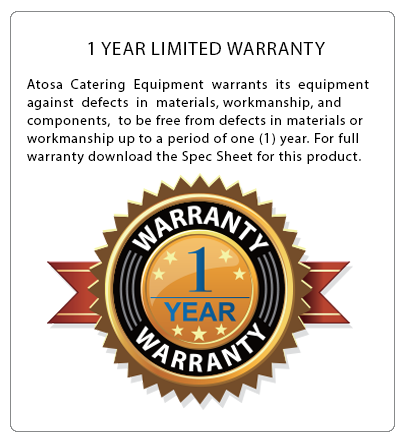 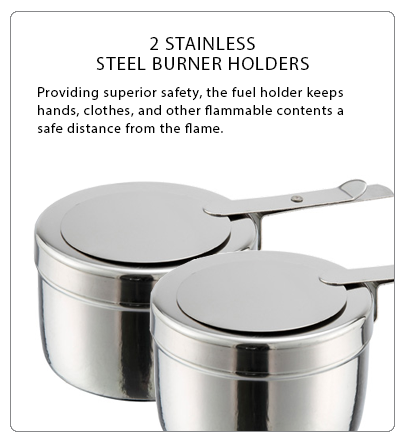 Keep food hot while catering events with Atosa chafers.